I grew up surrounded by Baobab trees and Baobab fruits in rural Gambia. They have been a strong part of my life, and my family have a rich heritage of making Baobab drinks for the local market. Paul first saw one backpacking in the South African bush in 2006, and was so drawn to the ancient beauty he stopped the safari vehicle to get out for a closer look, before he too spent time living with them in The Gambia. Baobab is one of the many passions we share and has bonded our friendship over the years. In Gambian culture Baobab brings generations of people together, and wisdom is taught by elders underneath the Baobab tree (you may have spotted this reflected in our Baotic branding!). We love how Baobabs can bring people together! 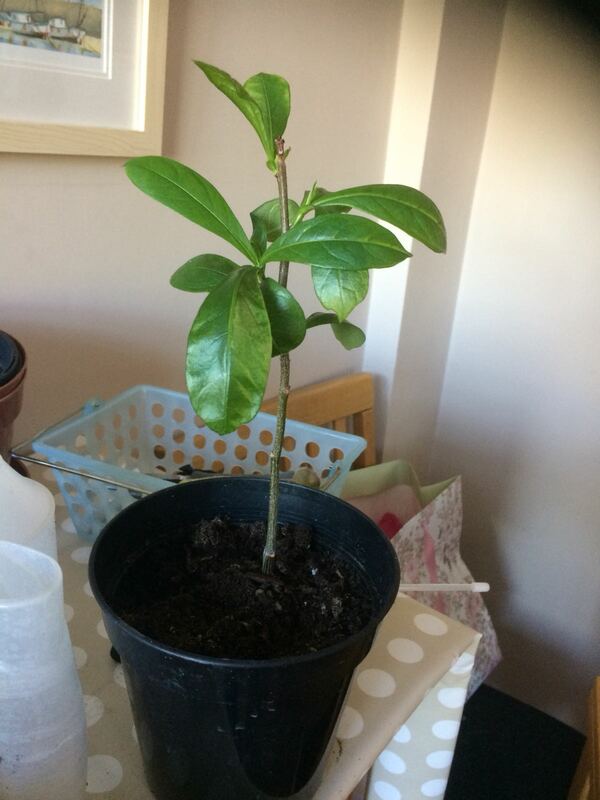 We have also enjoyed growing Baobab plants in The Gambia and the UK. 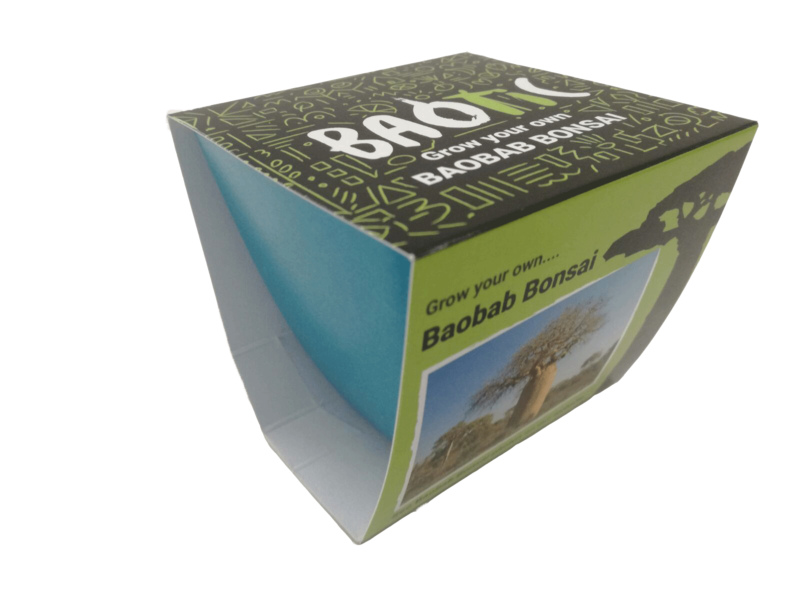 So recently for our mini crowdfunder that celebrated the launch of our new Baotic Baobab healthy drinks range we launched our Baotic Baobab Bonsai Grow Kits. At Baotic, our mission is to inspire and empower healthy communities around the world, and our roots are from education and healthy agriculture in rural Gambia. So what better way to spread the Baobab love, and bring a little joy than through these cute little ‘Grow Kits’. Growing oxygen producing plants to breath air into your living space, and connecting with nature is perfect for stress-busting and general wellbeing. Horticulture is a dying art and fewer and fewer people (especially in cities) are having a chance to grow their own plants and this is where Bonsai come into their own. As mini versions, you can grow otherwise large tress in small spaces, whilst enjoying the cultural art form. Botanical experts at Glasgow University have also warned that botany is a dying lesson, as the final batch of botanist academics see out their final tenures. This is something being lost from classrooms, as well as homes. If people’s joy for the art of Bonsai can help bring that back a little, then lets do it! Some great research has been done on the sustainability of the tree and fruit as an export, and the economic benefit to local supply chains is well recognised. That is why we work with female co-operatives who safely wild harvest and own a respectable and fair role in sourcing wild organic fruits. As well as this, if we continue to value the fruit in this way, we can grow awareness and protect the tress for future generations and that requires a global effort. We are happy to spreading a little Baobab awareness in the UK/EU! In some regions of southern Africa a number of elderly tress have fallen in the last decade, covered in Zombie Baobab’s back from the dead, but as we grow as a startup if we have sustainable awareness at the heart of what we do and if we can use these Baobab Bonsai’s as a small tool for protection we will continue to do so. As the multicultural name suggests also connecting communities and promoting ‘Global Citizenship’. Bonsai’s offer a little mini version of a tropical species, and they connect cultures and peoples from around the world. 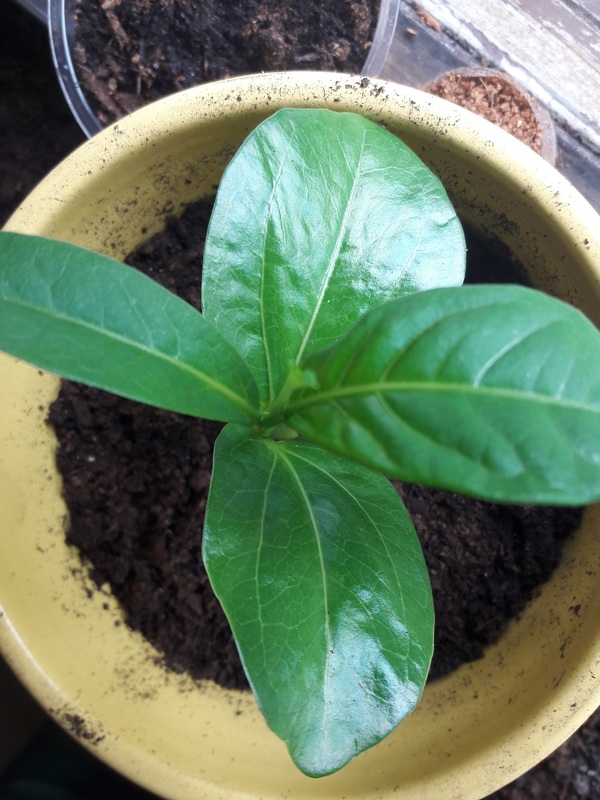 So why not grow a little bit of African sunshine in your own home. The more connected we become in the world, the more understanding and peace may prevail. 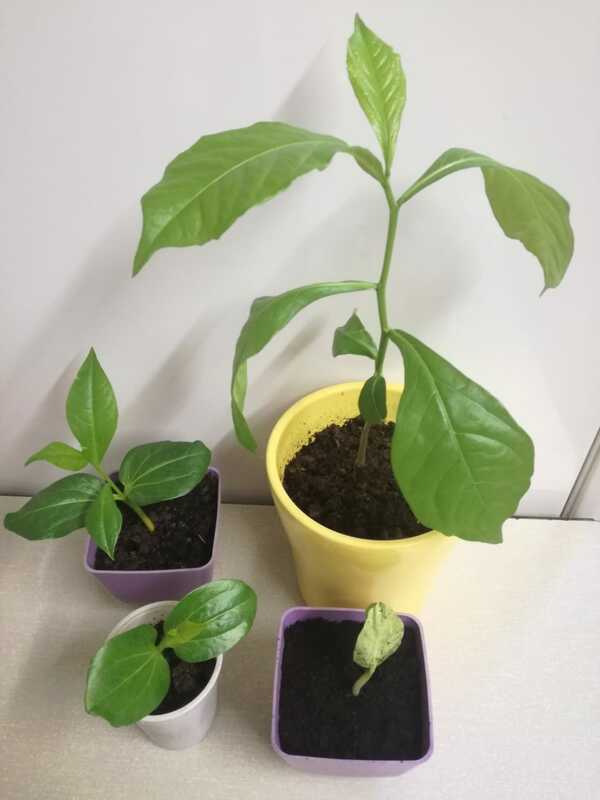 We are also hard at work developing environmental programs that will support the planting of Baobab nurseries for tree plantation programs, starting with a pilot we are hoping to run in The Gambia from November. In addition to the 10% profit we donate to the Gambian development projects, every Baobab Bonsai we sell, we will work with a local Gambian community to plant one Baobab tree to protect them for future generations to come. Setting something like this up for full scale impact, takes a little work and time but it is a project we are committed to. Bring a little Baobab love into your life…. You can purchase your own (or for a funky gift!) by adding them to your cart at the foot of every Baotic drinks page. 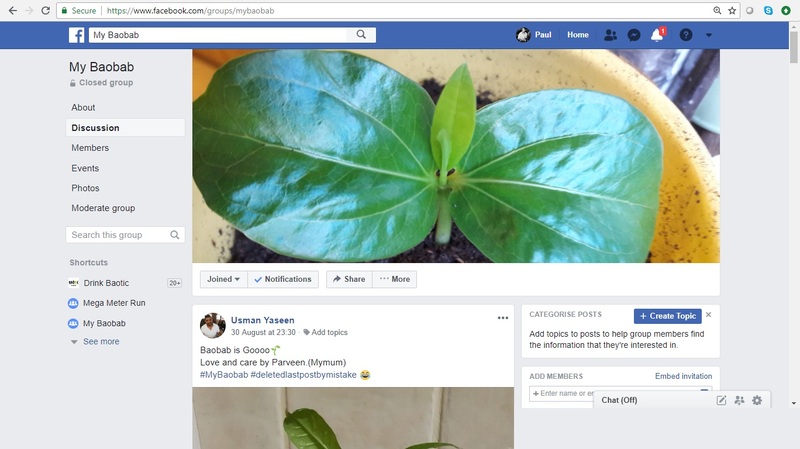 We welcome you to join our online facebook #MyBaobab Community with our first little video of Baobabs at different stages. Thank you Sir Richard for being a continued part of our ongoing story, for sharing our love for Baobab’s and for sharing our values of innovation, health, global citizenship and the environment. Thank you for reading, and thank you ALL for also being a strong part of our story.